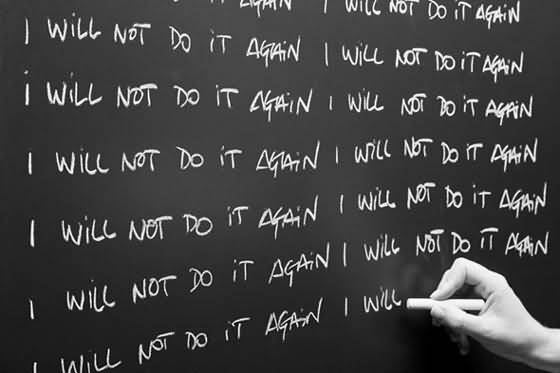 Bahai way of working in Iran! Baha’is pay Millions of Dollars to Iranian government plus a bond that they will not proselytize again. Baha’ism is considered a cult in Iran and Proselytizing ‘Baha’i Faith’ is punishable by law. Sahba Farnoush, a Baha’i resident of the city of Tehran, who was detained and sent to prison some time ago, along with at least 15 other Baha’is, when security officers raided their homes in many different cities of Iran, was released by posting 200 million toumans (approx $66,280) bail. Navid Aghdasi, a Baha’i resident who was detained and sent to Evin prison some time ago, because he followed up on the unsolved murder of his maternal cousin, Ataollah Rezvani, was released by posting 200 million toumans ($66,280) bail. Shahram Najaf Tomara, a Baha’i from Tehran, was released at 11 pm on Monday December 28th 2015, after posting bail of 1 billion rials (approx $33,140). According one of his close relatives, he was called in to the Intelligence and Security office of Hamedan, and was warned that if he teaches the Baha’i Faith again, he will be facing exile or an increase in his prison term. On November 2014, Hamid Azizi was detained under charges of promotion of anti-regime groups, and after ten days of interrogation, was temporarily released on 100 million toumans (approx $33,140) bail. Likewise there are 10s of other Iranian Baha’i prisoners who have been released on Bail but the amount not disclosed. This amount may be more thana Million US$. Aziz Samandari and Jinous Sobhani, a former secretary at the Defenders of Human Rights Center, were released on 11 March 2009 on bail of 700 million Rials (approximately $73,000). Didar Raoufi, Payam Aghsani and Nima Haghar were released on the same day and ordered to pay the same amount (approximately $73,000). Shahrokh Taef was released six days later on 17 March 2009 having paid the same amount(approximately $73,000) in bail. In late March, nine Bahais were arrested in Hamadan. In recent days seven of these have been released on bail, ranging from 25 to 60 million tumans (8000 to 19,500 euros / $US 9000 to 21,000). Five of the Bahais who have been arrested in Shiraz in recent weeks have been freed on bail, which was set at 200 million tumans (approx. $US 63,600)…. On October 3, the other three were among 14 Bahais who were arrested in their homes in Shiraz on the evening of September 29. Behnam Azirpour (بهنام عزیرپور), Sa`id Hosna (سعید حسنی) and Esma`il Rusta (اسماعیل روستا) have already been released on bail. TEHRAN – Iranian security and intelligence personnel have identified and arrested the members of an international moral corruption network promoting Bahaism. The network was carrying out its activities in the cities of Tehran, Karaj, Isfahan, Shiraz, Mashhad, and Yasuj, as well as the town of Evaz, which is located in Fars Province, the Fars News Agency reported on Sunday. The leaders of the network were receiving $400 per month from certain foreign countries to promote the teachings of Bahaism in Iran. Persecution of Bahais – Sign of Truth? Visit any Bahai website and you will find a mention of “Persecution of Bahais”. While I condemn any kind of persecution, I believe we should not accept any claim at its face value. Moreso, if it comes from the Bahais. (Please read: Advancing the Status of Women and other articles). Before we delve further, it would be very important to note, this discussion has very little to do with the Bahai Faith. This discussion is more for social interest than religious significance. Simply because being persecuted or not is not a proof for establishing the truthfulness of the claimant or the veracity of the claim. To explain this further, if being persecuted was a characteristic of a Prophet, every executed traitor would become a Manifestation of God. This would become an established methodology of recognising a Prophet. 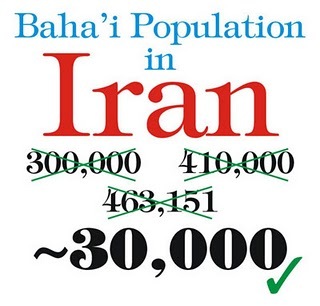 Bahai Population in Iran: Still Counting? How Many Bahais in Iran? Can we believe even these numbers? There has always been confusion about the actual population of the followers of the Baha’i Faith in every country since its origin. Regarding their numbers, “millions” is the usual figure claimed by them. The reason for this confusion is the fact that Baha’is are wont to give fake ‘percentage Baha’i population’ for every country. Thanks to the internet – their lies are getting exposed. The number of countries and localities varies with each web site. There is ‘no consensus’ regarding the actual number of countries, the actual number of localities, and the actual number of Baha’i. This trouble in the Baha’i population is not generated by the Baha’i Administration themselves but it is just the continuation of what Abdul Baha and Shoghi Effendi have done.